A fully laid-out Journal to pinpoint your food intolerance. 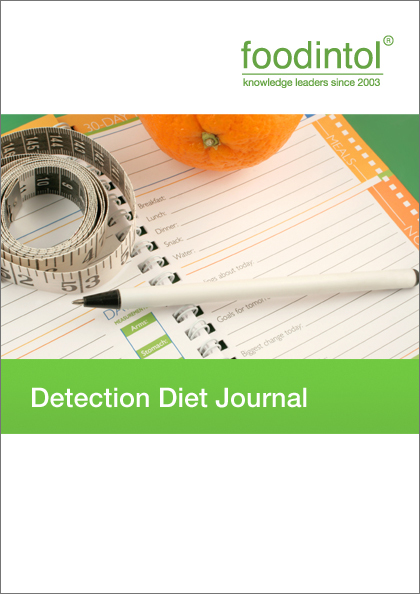 The original foodintol® Detection Diet Journal with step by step guidance to Check - Change - Challenge! This is the safe, accurate, natural way to find any food intolerance. A comprehensive 21 Day Journal which sets out day-by-day instructions and explanations of each activity and phase. You can even do a second and third investigation if necessary. It even interprets your individual results by guiding you through a series of questions at each Review stage. Use it in conjunction with one or more Complete Guides. BETTER VALUE BUY: Get the Detection Diet Journal - and all 6 Complete Guides - in the Healing Program.